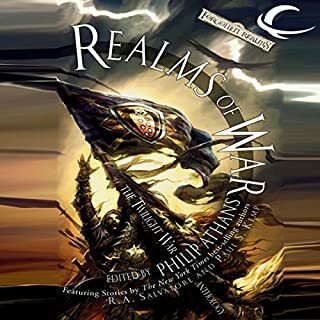 War stories from the battlefields of Faerun! The millennia-old history of Faerun is punctuated by wars both local and world-spanning. This anthology of all-new stories is set against the backdrop of a dozen of those conflicts. From forest elf assassins to jungle-dwelling halflings, from the mighty Seven Sisters to primitive goblins, warriors in every form struggle for their place in the Forgotten Realms world. 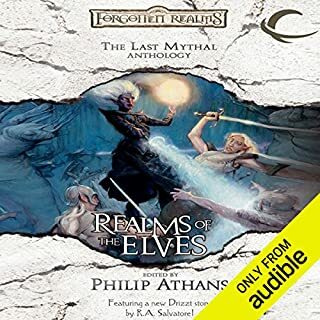 The story of the elves of Faerûn stretches from the dawn of history to the battle for the future of a world in constant upheaval. 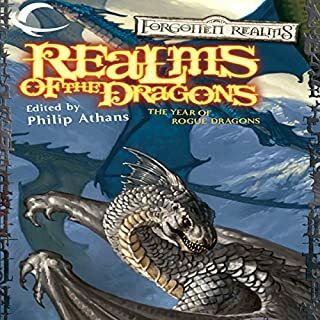 Realms of the Elves, edited by Philip Athans, is the 11th anthology of stories from the Forgotten Realms. It serves as an anthology to The Last Mythal trilogy. Authors include Richard Lee Byers, Philip Athans, Lisa Smedman, Erik Scott de Bie, R. A. Salvatore, Ed Greenwood, and Richard Baker. 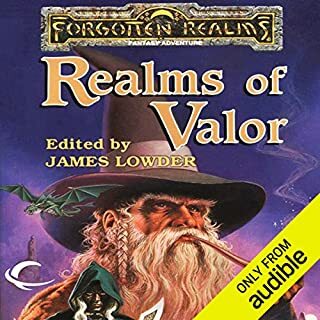 This anthology presents thirteen of your favorite Ed Greenwood stories taken from over fifteen years of Forgotten Realms novels. 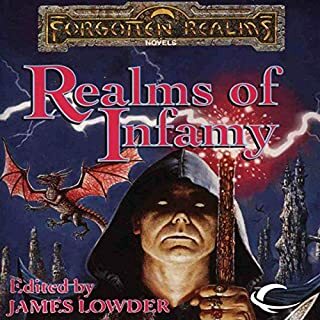 In addition, this anthology contains three brand new stories by Ed Greenwood! Adventure across the myriad faces of Faerûn with warriors like Mirt the Moneylender and Alusair the Steel Regent, and with wizards like Elminster the Sage of Shadowdale and his three charges, Dove, Storm, and Laeral, as they roam the Realms, protecting the innocent from villainy, the ignorant from deception, and the insane from themselves. The millennia-old history of Faerûn is haunted with ghosts, vampires, zombies, and all other manner of gruesome undead. This anthology of all new stories is filled with the twelve most terrifying and lethal of these tales. From ancient lich kings to freshly turned ghouls; from disembodied hands to unholy, decaying angels, the dead in the Forgotten Realms rarely rest in peace. 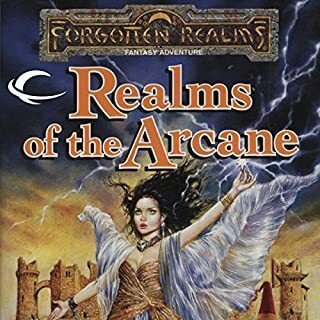 When a tribe of kenku confront the archwizard who gave them magic but kept them as slaves, the skies rain death.When a knight of Cormyr journeys to the ruins of Tilverton, he begins to understand the terrifying power of the archwizards.When phaerimm roam the world, enslaving orc and human alike, the great powers of the world must depend on an ally as deadly as their enemy. 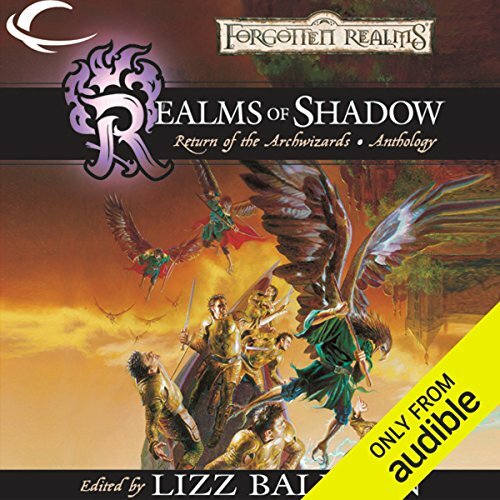 ©2002 Wizards of the Coast LLC (P)2012 Audible, Inc.